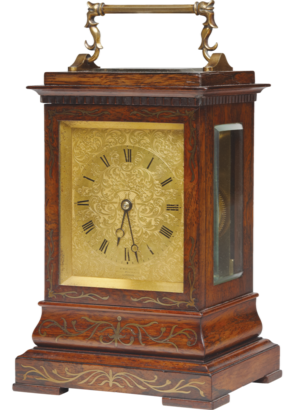 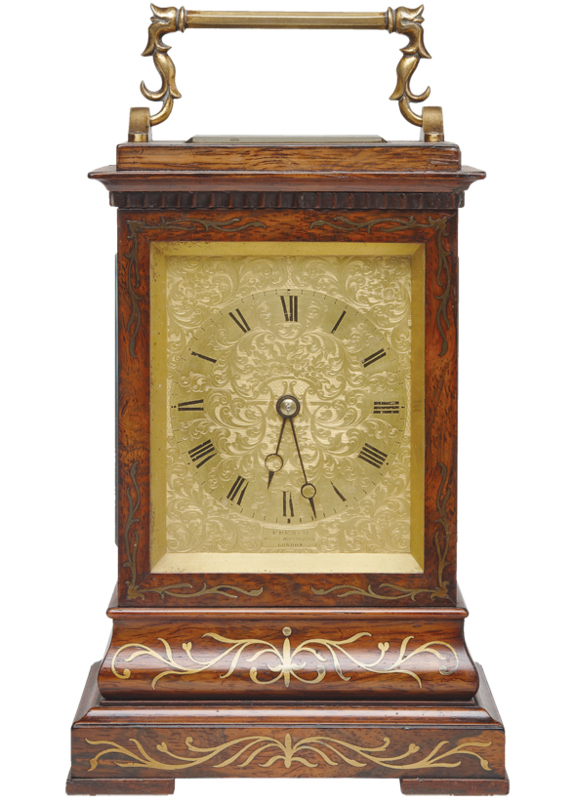 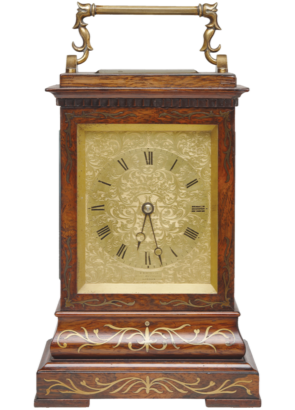 A small early 19th century rosewood mantel clock inlaid with brass and with an 8 day single fusee movement and platform lever escapement. 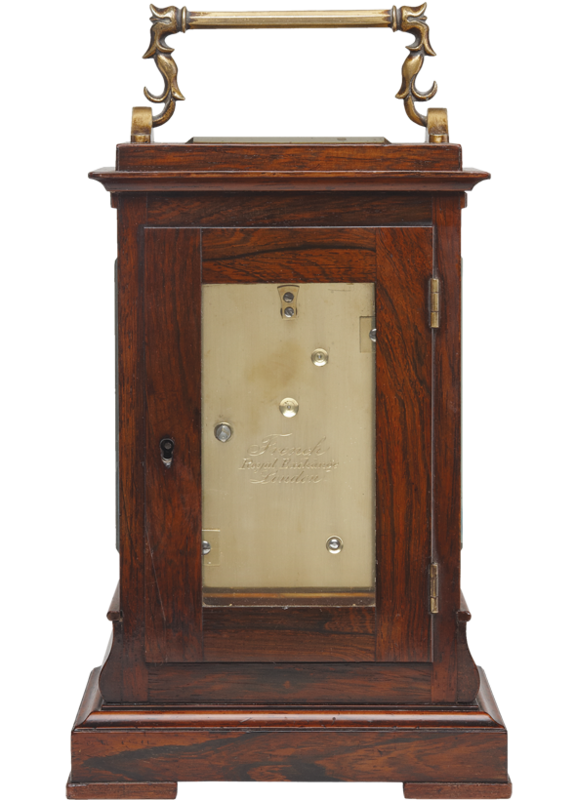 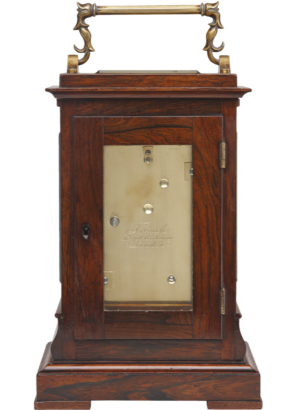 The case with a glazed top to view the large platform lever escapement and surmounted by a gilt brass carrying handle, the case glazed to the side panels and doors. 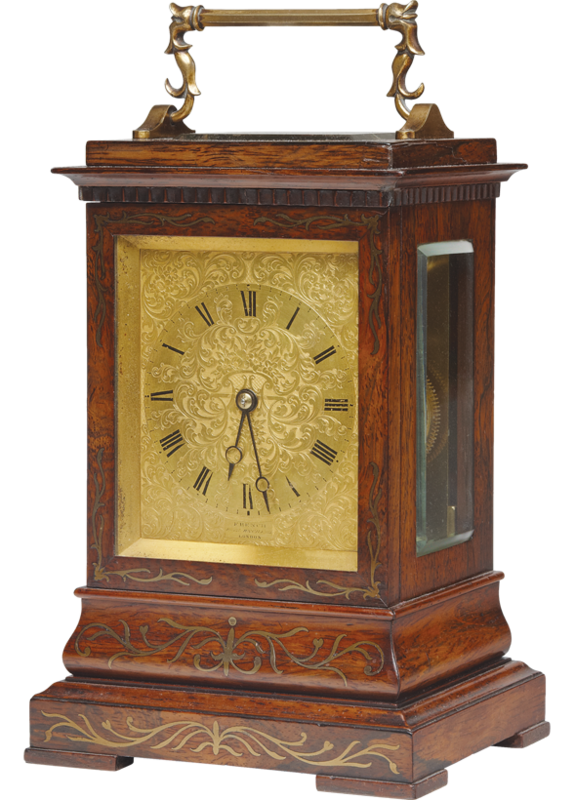 The gilt dial with fine engraving, good hands and makers signature, the signature repeated to the backplate.